One of the great pleasures of working with vintage lighting is the quality. 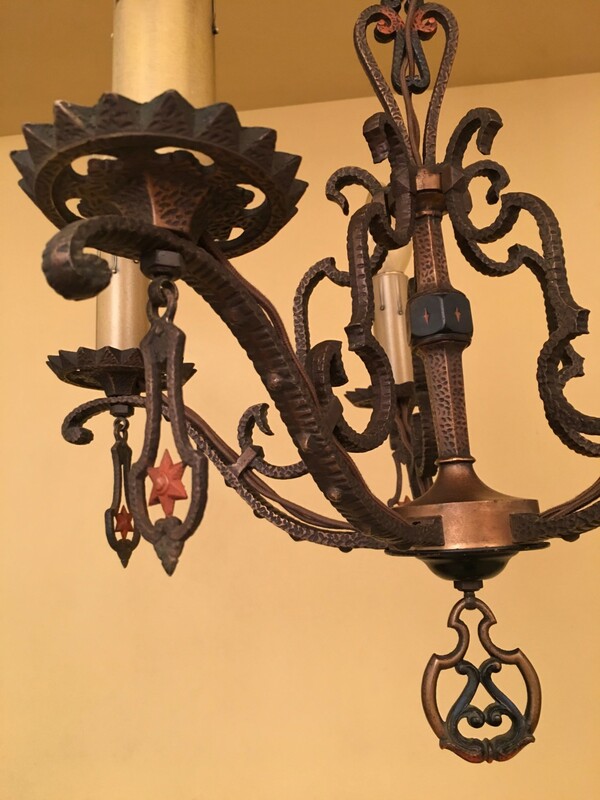 Fixtures from before WWII are just stunningly made in a way which is inconceivable in our modern made-in-China world. 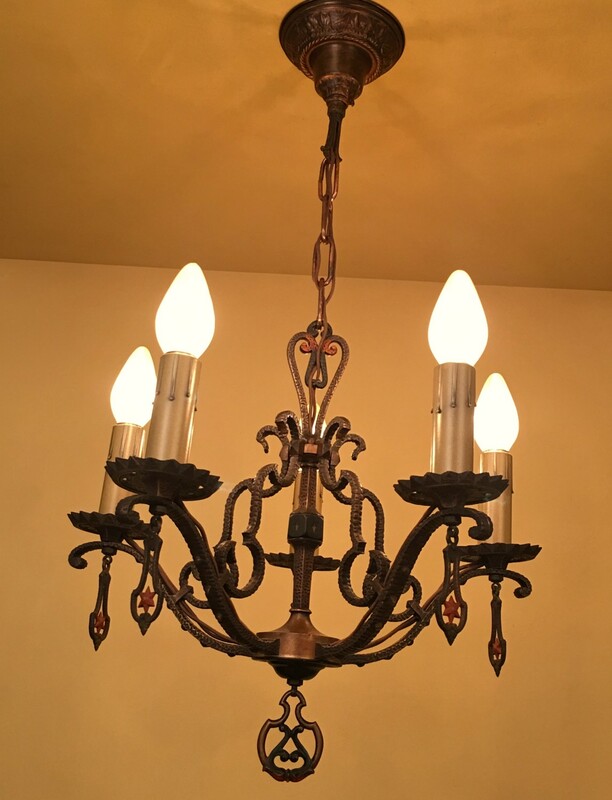 Like this set by Mid-West Chandelier Company of Kansas City, circa-1930. They are made mostly of cast brass. This retains its original polychrome finish which looks like a very old penny. Almost black but with a coppery hue. Stunning. 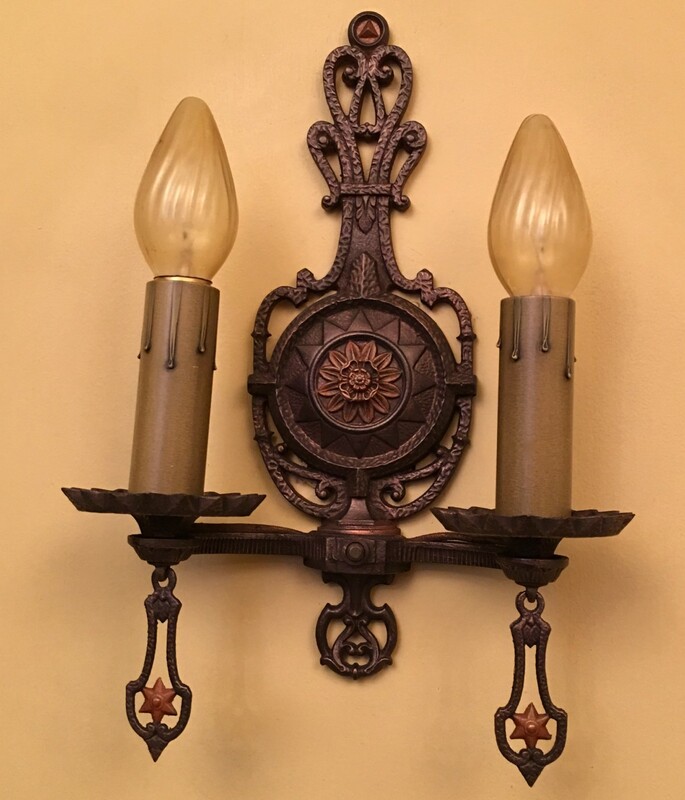 …two 2-arm sconces. Stunning! Incredible! Note also the dramatic dangly finials! All are in situ! The fixture are incredibly expressive! I love love love looking at them. While ideal for a Spanish-Revival home, I know of a matching set in a bungalow a few blocks from the Cross House! 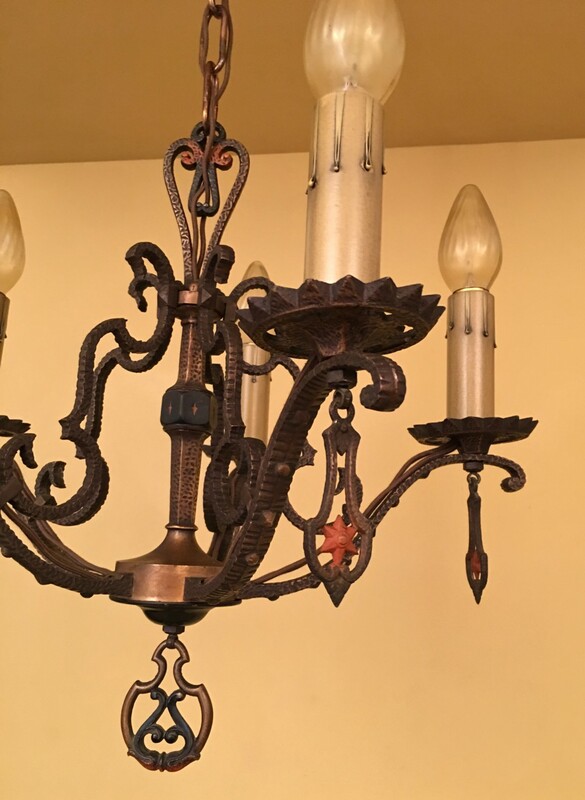 I love the fact that you don’t use the gold PVC lamp wire that so many restorers use. Many people may not notice the difference, but those are the little details that really make the difference between OK and excellent. Nice work! Thank you! Yes, I love using new cloth-covered wiring on most of my vintage fixtures. Plastic just does not look right!